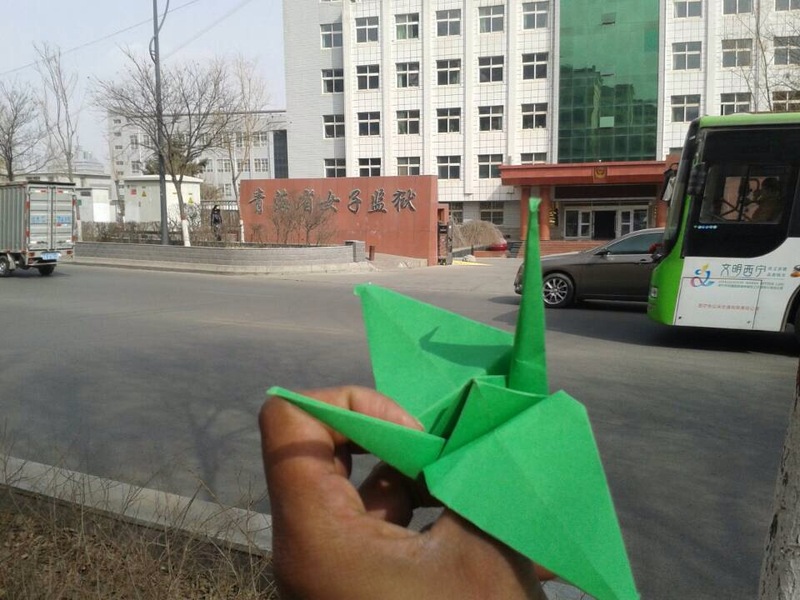 Zurich, March 25, 2013: In a daring show of solidarity, friends of Dhondup Wangchen inside Tibet displayed origami birds of freedom in front of the prison in Xining where the filmmaker is being held. 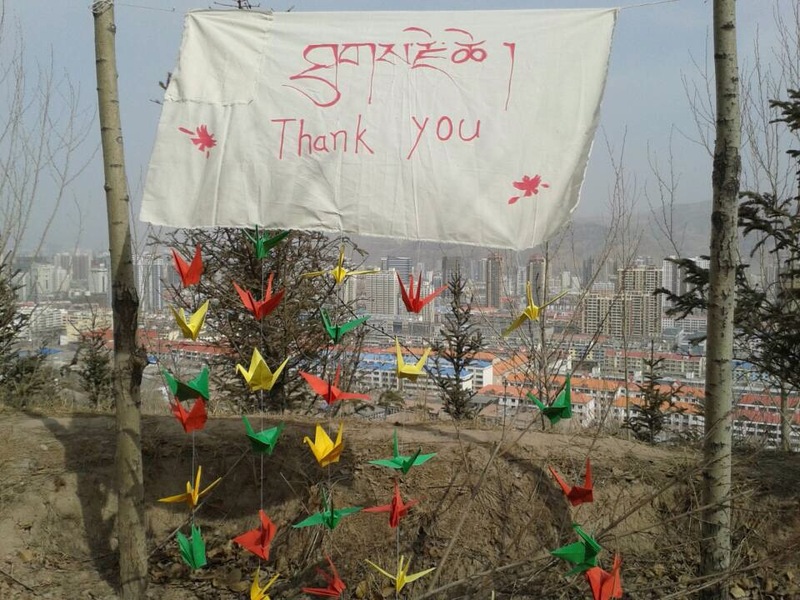 The photo shows an installation of “freedom birds” along with a hand drawn banner saying “Thank You” to supporters of Dhondup Wangchen around the world for taking action for his safe return. 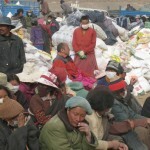 The photo may document the first action ever in front of a prison or labour camp where Tibetan political prisoners are being held. 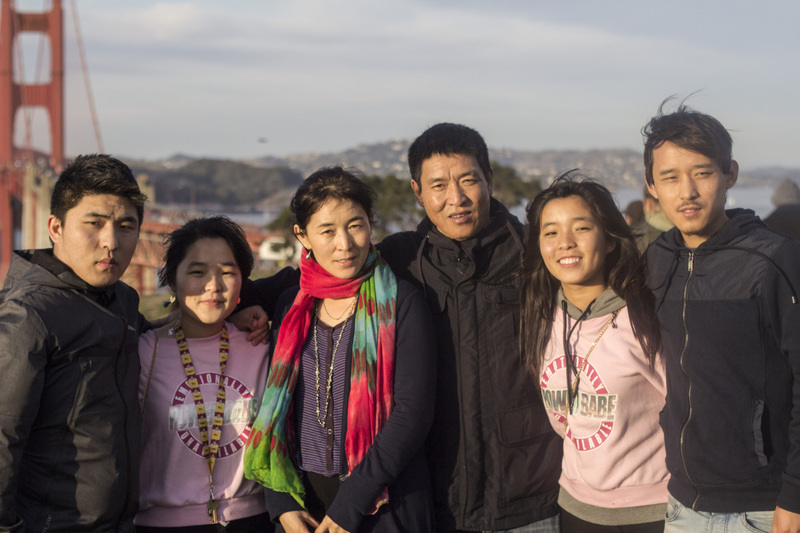 A Global Day of Action was held for Dhondup Wangchen’s safe return on March 22, 2014 and supporters in countries as diverse as Brazil, Belgium, USA, India and Switzerland folded and distributed origami birds of freedom in public. 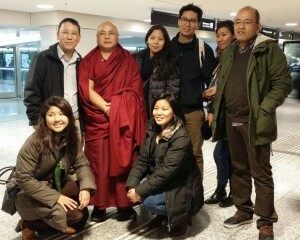 These awareness raising solidarity acts highlighted Dhondup Wangchen’s last few months of unjust imprisonment. 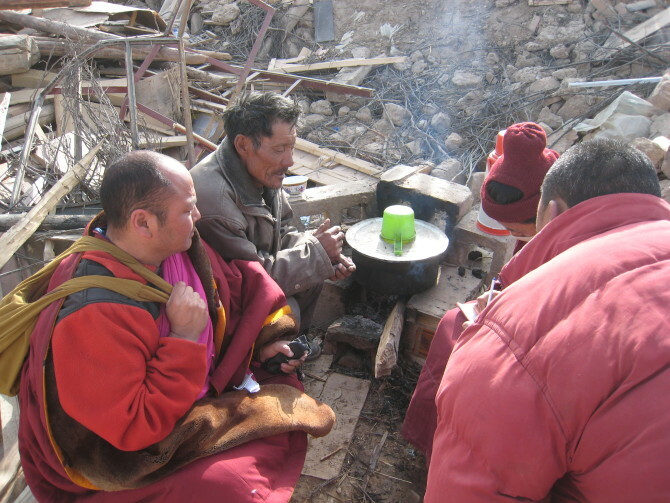 Dhondup Wangchen was arrested on March 26, 2008. 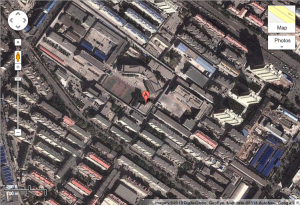 In our view, his six year sentence should end today, March 25, 2014. 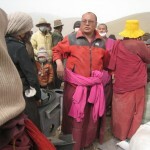 The judge however has postponed it to June 5, 2014, for unknown reasons. 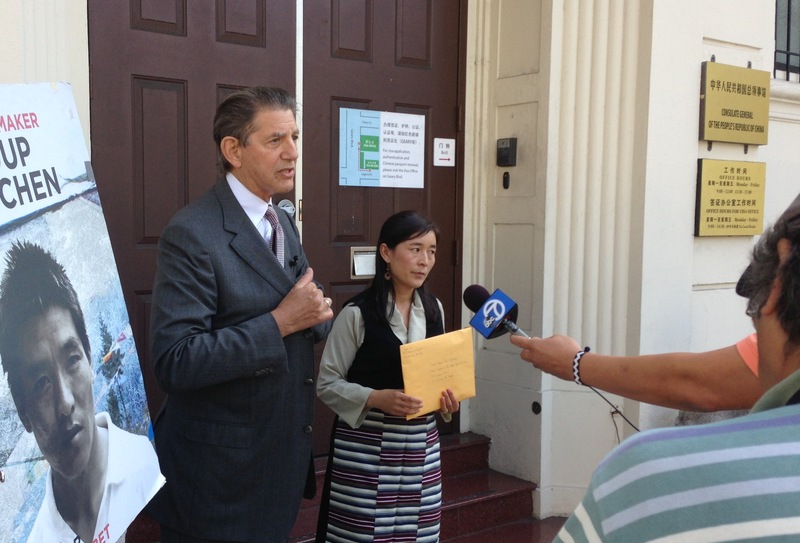 San Francisco, October 9, 2013 – Lhamo Tso and actor Peter Coyote were not received by Consul Yuan Nansheng today. 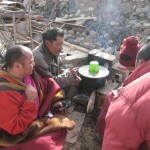 The Chinese Consulate did not answer the doorbell despite letting in at least two other people around that time. 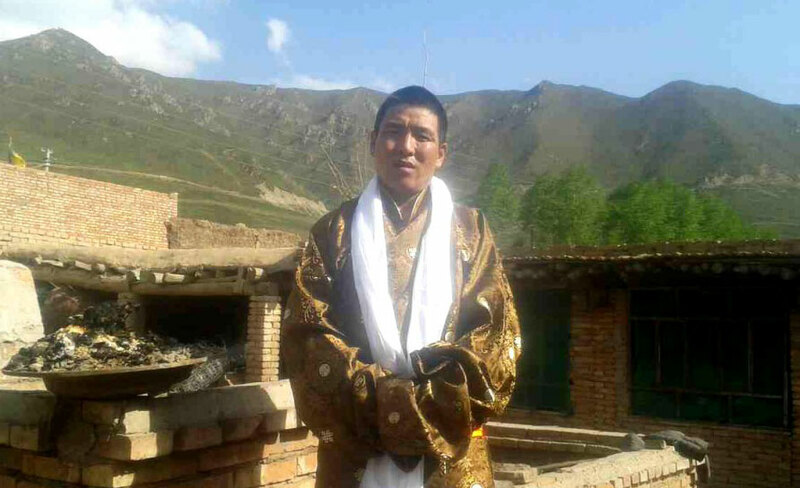 Lhamo Tso and Peter Coyote had no choice but to drop the envelope for Dhondup Wangchen with birthday cards from the children and pictures in the letterbox of the Chinese Consulate. 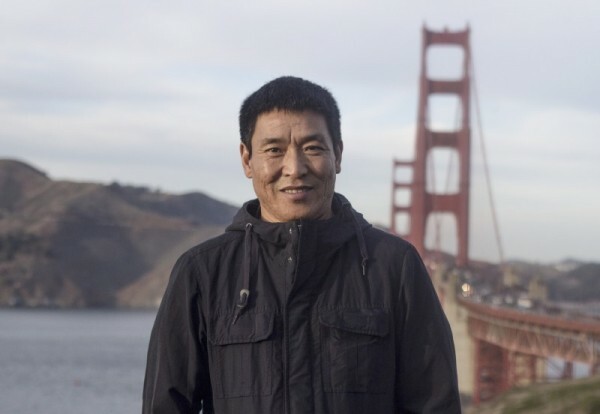 Lhamo Tso and Peter Coyote then held a press conference outside the Consulate to explain why they were taking action on the occasion of Dhondup Wangchen’s upcoming birthday on October 17. 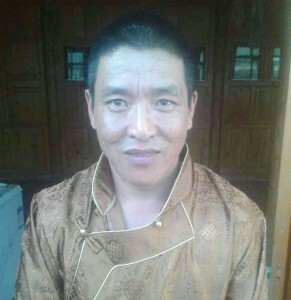 Filming for Tibet information has collected, with the help of Lhamo Tso, information about Tibetan monk Jigme Gyatso (aka “Golog Jigme”) that clearly indicate the charges against him of manslaughter are baseless. Lhamo Tso, an old friend of Jigme Gyatso, is appealing to the US government and governments around the world to request the officials in China to stop the manhunt. 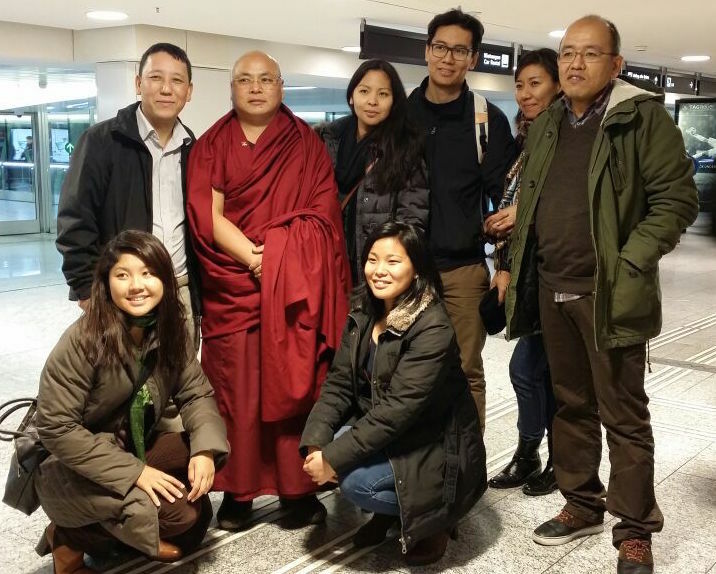 c. Repeatedly, the opinion was voiced that Jigme Gyatso’s political and social activism might be the real reason for the arrest and the harsh statements following his disappearance/flight from the PSB. 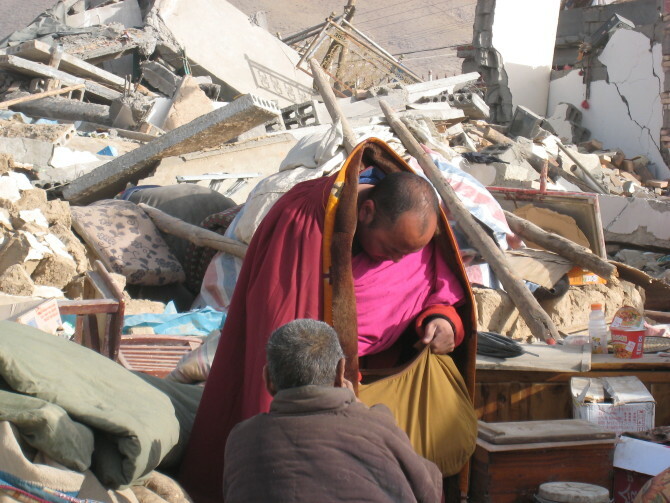 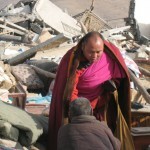 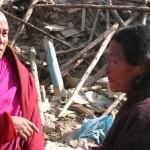 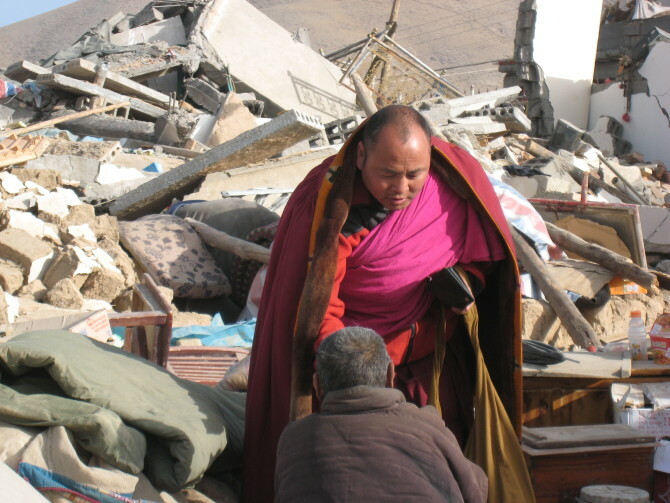 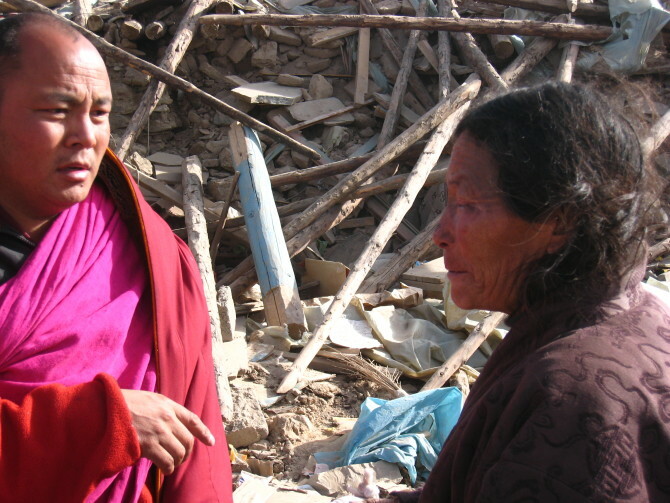 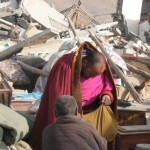 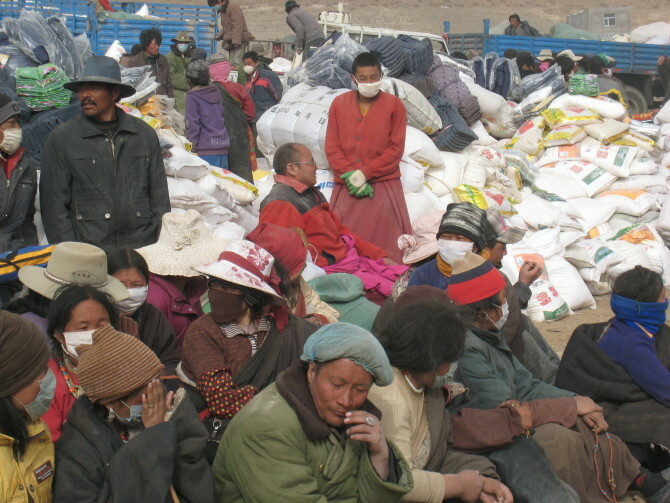 See the photos below for his involvement with relief work after the earthquake in eastern Tibet in 2010.